I happened to think about how difficult it is for many people to drink less alcohol. ESPECIALLY around the holidays. 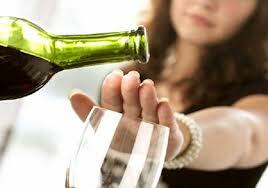 Many people are unsure how to resist the temptation to over-indulge, because alcohol is everywhere. I’m writing this on July 4th, but this is only one of the many holidays during which we feel tempted to drink … or drink too much. New Year’s, Christmas and Thanksgiving are often a special challenge to stay sober. But even birthdays and anniversaries can be tempting to many of us, as alcohol is always present. I’ve previously written about how to drink less by using your secret weapon to resist alcohol. It is often overlooked because too many of us will dive headlong into drinking at the first, slightest temptation. That secret weapon is, of course, food. When you make a point of eating a FULL meal before your normal drinking time, you will often find that alcohol simply doesn’t have the same attraction as it did before. Suddenly, the marvelous tastes and smells associated with food goes to the forefront of your mind. The POWER of food is underappreciated, but it should not be underestimated. Whether it’s at a July 4th picnic or at any other holiday festivity, try filling up your stomach with food FIRST, and you’ll once again exert your power over alcohol. Finally, even if YOUR particular problem with alcohol is because you drink “every day”, you can still use food to help you cut back. Make a point of never drinking before eating, and you’ll have a big advantage in controlling your drinking.